Vix was so pleased with herself when she came up with this recipe. She wouldn’t stop talking about it and ate it every day for a week! But she enjoyed every mouthful and we hope you do too! Boil the water (amount specified in the ingredient list) with a pinch of salt in a large saucepan over high heat. Add the bulgur wheat. Cover with a lid, remove from the heat and leave for 10-15 mins, or until the water has completely soaked into the wheat. The bulgur will absorb the water and fluff up. Pick the mint leaves from their stalks and finely chop (discard the stalks). 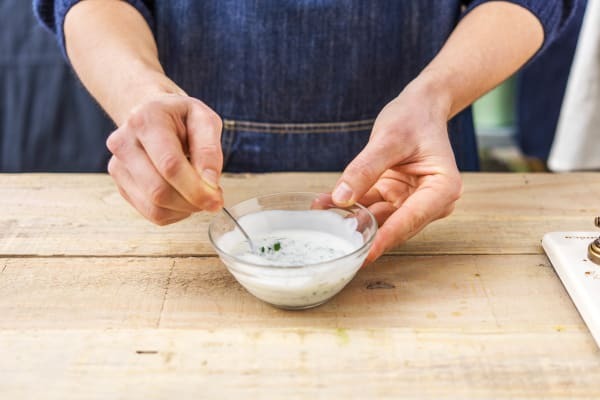 In a small bowl mix the mint with the yoghurt and season with a pinch of salt and a grind of black pepper. Pop it in the fridge for later. 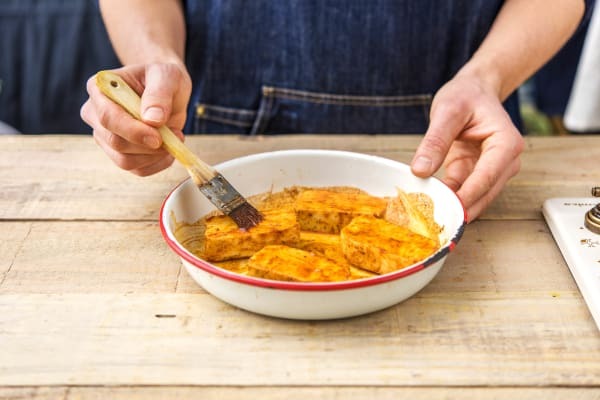 Cut the halloumi into even slices, two per person. 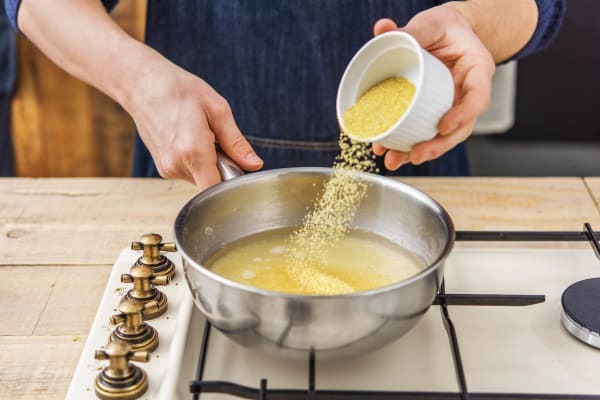 In a mixing bowl, mix the olive oil (amount specified in the ingredient list) with the harissa spice mix. TIP: The harissa is pretty spicy! Use less if you don't like it hot. 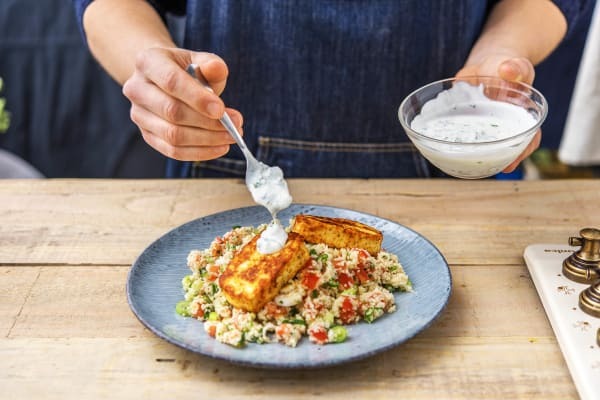 Add the halloumi and mix to make sure it's well coated. Heat a frying pan on medium-high heat. Once hot, lay in the halloumi slices (no extra oil is necessary). 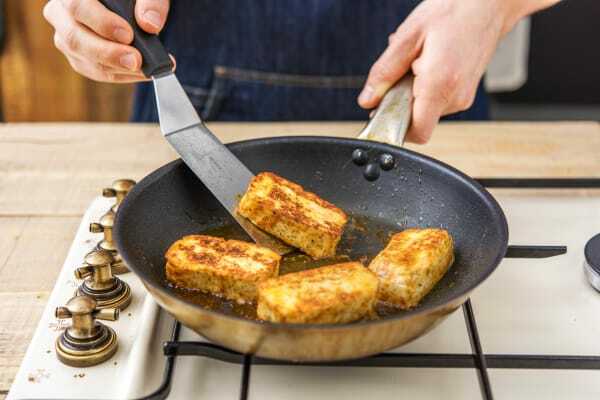 Fry the halloumi for 2-3 mins on each side, until slightly browned. The bulgur wheat should now be ready. 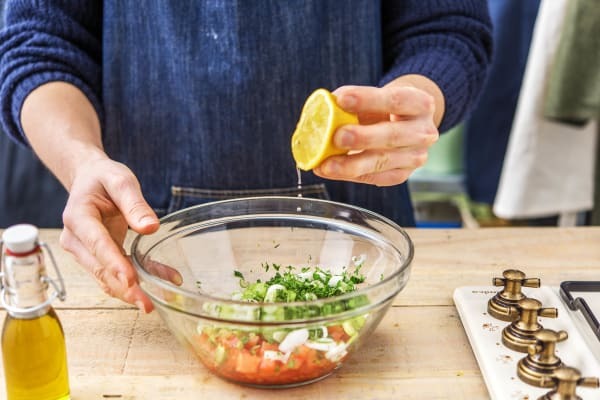 Strain any excess water and pop it into the bowl with the rest of the tabbouleh ingredients. Mix well and spoon a generous serving onto each plate. 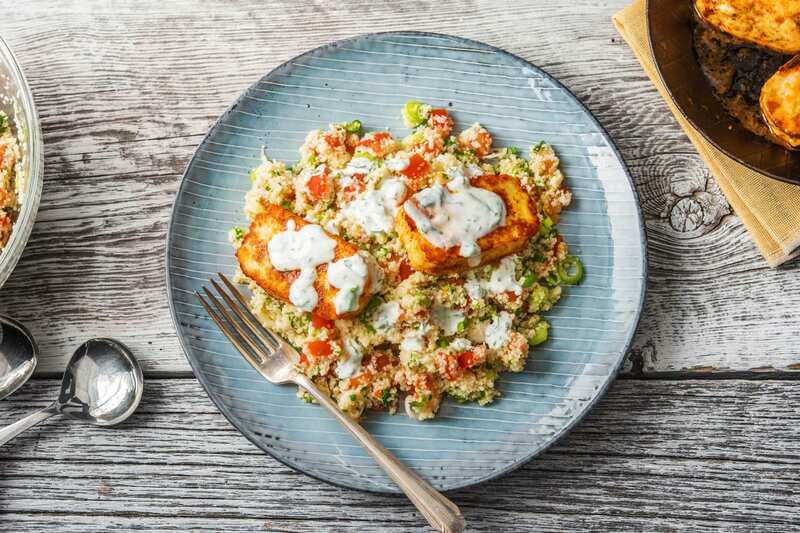 Top it with the halloumi slices and dress with the mint raita. Enjoy!